What were you when you were a kid? Ahh, hard to remember those days, right? But, I’m sure your parents must be well aware of all those things you did in your childhood. But I bet here; you must have done nothing like the kids I’m going to show you today. They are more than just usual. May it be taking their conditions, diseases, talents or any other thing that they have achieved at a very small age. Could you even think of being a bodybuilder at the age of 8 years? Or rather can you go on to complete a marathon over seven continents? I have no idea what you think or not. At least, in my childhood, I only had the idea of every cartoon that will be telecasted on specific timings on Cartoon Network and nothing else. What? Don’t laugh! I had some talent at that time, though not as good as these kids. Jokes apart, I’ve brought here a rundown of some of the unique kids from all around the world that have some special qualities and talents. A normal Chinese teenager except that he has three extra vertebrates in his neck. While an average person has seven vertebras in them, this kid has 10. Due to his long neck, it is very difficult for him to walk and he experiences major pain in the area. He was diagnosed with congenital scoliosis when he was six years old. This 4-year-old kid weighs 132 lbs or 60 kg which is five times the normal weight of other kids of his age. Doctors are confused in his case considering him a medical mystery. He eats at least three bowls of rice daily and is constantly hungry. His parents tried to restrict his diet, but he responded in tears. At just 14 years of age, she became the youngest person to complete a marathon on all the seven continents. When she was 9, she created Team Winter, a non-profitable organization that raises money to fight prostate cancer. Pan is an extraordinary young boy from China who suffers from a rare disease called Ichthyosis. In this disease, his entire body is covered with the dry, itchy skin. He is suffering from this disease since his birth and often causes him discomfort and pain. He is referred to as ‘fish boy’ by his neighbors. Giuliano, 11 years and Claudio, nine years old from Romania are the strongest little kids in the world. These impressive champs do bodybuilding since they were two years of age. They hold records for performing 20, 90-degree push-ups and holding on straight to a pole like a flag for 1 minute 30 seconds. Known to many as little Hercules and the world’s strongest boy, Richard Sandrak is a Ukrainian born bodybuilder and martial art champion. At the age of 8 years, he can bench press 210 lbs, i.e. 95 kgs and perform 600 push-ups. 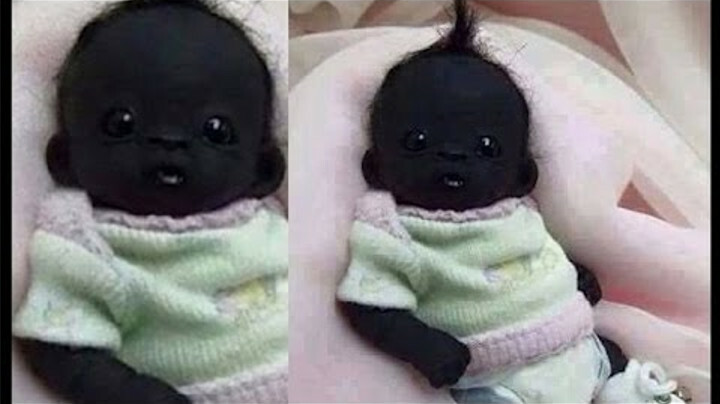 In 2013, the face of a newborn baby with an extremely dark skin went viral through the social media. Even after four years, Edam, from South Africa, astonishes those who get to know about him – doctors and common people alike. Not just his skin, the boy’s eyes are also completely blackened, giving him a rather scary appearance which has caused his family to have rejected him. And even still, people dub him to be the national symbol. This sixteen-year-old black beauty has about 39.9 K followers on Instagram. She is called as ‘Black Hannah Montana’. A remarkable number of agencies already dream of signing a contract with her. Her blue-grey eyes and a chiselled nose, and of course her cold black skin shows her a person from another planet. This kid hails from India who was born with the partially developed arms and legs of his parasitic twin growing out of his stomach. He is famously known as an eight limb boy who was taunted in his initial years for being born in such a way. This little girl seems like something straight from the science fiction. She has a rare condition which still is ‘unnamed’ and enables her not to age. For every four years that pass by, Williams age is one year. Her condition is still unexplainable which has left her blind and mute. Try not to be jealous of her as at the age of just nine years; she has been referred to as the most beautiful girl in the world. She originally belongs to Russia and already has a supermodel career. She has been into modeling when she was three years old. Brands like Armani, Benetton etc. have signed an official contract with her. This cute kid from Hong Kong started playing the piano when he was just three years old. The exceptional thing about him is that he is a piano prodigy. While we are still messed up in figuring our own lives, Tsung Tsung can play three pieces of Mozart by heart before his nap-time. Isn’t he amazing?